The patron saint of Naples is San Genarro (St. Janarius), whose relics are kept in the Duomo, the cathedral of Naples. He has a large chapel dedicated to him, where the miraculous vial of his blood is kept. It liquefies at designated time of year. 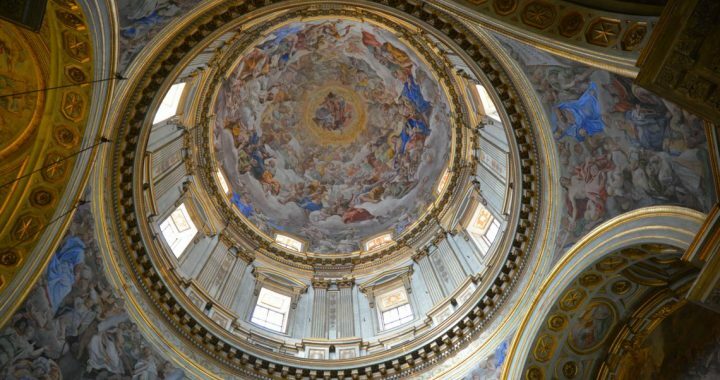 This magnificent chapel has this dome hovering overhead, the trompe l’oeil painting making it look even higher than it really is.